It was good news to hear the Government’s plans to put an end to stamp duty for first-time buyers of shared ownership homes, which announced in the latest budget statement. In last Autumn’s Budget, stamp duty for first-time buyers on homes worth up to £300,000 was abolished but the policy didn’t apply to shared ownership homes. Before, a buyer purchasing a £250,000 home outright, below the threshold, would not have to pay stamp duty. But someone buying a £250,000 share in a house worth £500,000 would have faced paying £2,500 before the recent change. Now, the policy will apply to shared ownership homes valued at up to £500,000. This will be backdated to include homes bought through shared ownership since last year’s Autumn Budget. For those of us dedicated to providing new homes to help as many people as possible into their own homes, this is a welcome change. 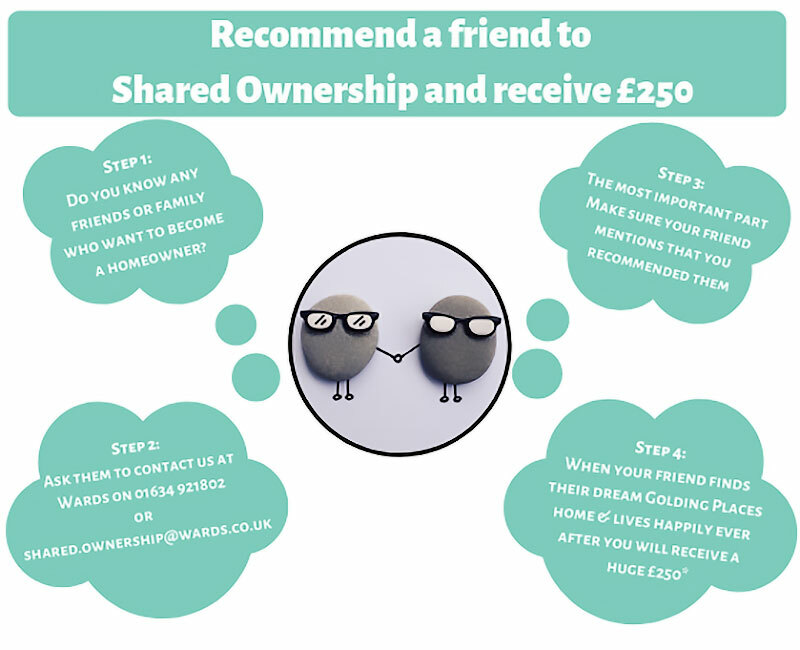 Shared ownership is an affordable way of getting onto the property ladder. The buyer only needs a mortgage for a share of the sale price – from 25 per cent to 75 per cent – then pay rent for the remaining part. It also requires a deposit only on the percentage of the home you are buying. Shared ownership is flexible because the homeowner can buy more shares of the house if they wish to, a process called ‘staircasing’. As an example, we currently have three-bedroom homes on offer in Wadhurst valued at £400,000. We are offering a 40% equity share at £160,000, which would leave the new owner paying rent on the remaining 60 per cent. “A lot of people who would struggle to get a mortgage on a £400,000 home will find it much easier to borrow £160,000,” explained Golding Places’ Head of New Business Anne Chapman. If you’re interested in the shared ownership scheme, you can register on the Help To Buy website to see if you are eligible. Then you can start searching for your new home. Our new Coming Soon page on this website highlights shared ownership opportunities due to be released over the next 12 months.